The spacecraft broke speed and distance records on its initial solar flyby. NASA’s Parker Solar Probe has met the sun and lived to tell the tale. The sun-grazing spacecraft has already broken the records for the fastest space probe and the nearest brush any spacecraft has made with the sun. Now the probe is sending data back from its close solar encounter, scientists reported December 12 at the American Geophysical Union meeting in Washington, D.C.
Parker launched August 12 (SN Online: 8/12/18) and will make 24 close passes by the sun over the next seven years, eventually going to within about 6 million kilometers of the sun’s surface (SN: 7/21/18, p. 12). The spacecraft made its first close flyby November 6, swooping to within roughly 24 million kilometers of the solar surface. That’s about twice as close to the sun as the previous closest spacecraft, the Helios spacecraft in the 1970s. At peak speed, Parker was racing at about 375,000 kilometers per hour, roughly twice Helios’ speed. But because the probe was on the opposite side of the sun from Earth during the flyby, Parker didn’t start relaying its observations until December 7. After the probe emerged from behind the sun, the Parker team got its first up-close look at the wispy outer solar atmosphere, called the corona. One of the first images from Parker’s camera shows unprecedented detail in a solar streamer, a filament of plasma in the corona. The team hopes that Parker’s data will help solve the mystery of why the corona is about 300 times as hot as the sun’s surface (SN Online: 8/20/17). Only about one-fifth of the data recorded during Parker’s initial flyby will reach scientists before the sun gets between Earth and the spacecraft again. The rest of the data will be downlinked next year, between March and May. Scientists hope to start publishing results soon after. Using artificial intelligence (AI) and sound waves, researchers have found a possible means of looking inside stars. It’s based on the fact that stars aren’t solid objects — far from it, in fact. They’re intense, vibrating balls of plasma held together by their own gravity and with wildly energetic nuclear reactions at their core. Now, researchers say that they’re beginning to find ways to discern the internal state of a star by looking at the vibrations that propagate from its core through to the surface. The energy in stars is constantly in motion. The extreme, high energy of a star’s core is always moving outwards towards the cold, low energy of space. These sound waves resonate throughout the star, and smaller stars producer a higher pitch than larger stars, just like a smaller bell would produce a higher pitch than a larger bell. By studying a star’s sound waves, researchers can tell how old a star is, how big it is, what it’s made of and more. Most recently, researchers have studied stellar sound waves using NASA’s Kepler space telescope and NASA’s Transiting Exoplanet Survey Satellite (TESS). These instruments are able to observe and measure stellar sound waves by studying the brightness of the stars. Stellar vibrations reveal themselves visibly as brightening and dimming, so instruments like Kepler and TESS have been able to observe stellar sound waves by watching the stars twinkle. In its lifetime, Kepler observed the sound waves of tens of thousands of stars and TESS is expected to observe the sound waves of up to one million red giants. Using sophisticated computer models, Hendriks and Katholieke Universiteit Leuven astronomer Conny Aerts think they’ve found a brand new way to use these stellar vibrations to see what’s going on inside stars. Hendriks and Aerts fed simulations of star activity, created using computer models that collect and synthesize information about stars, to an AI network. The network absorbed this stellar information and found relationships between internal variables like stellar mass, age and what elements the stars contain and the vibration patterns visible on their surfaces. The network then takes this information and applies it to real stars. This allows the AI to take real-life stellar sound wave data and compare it to the simulations to discern some of the internal characteristics of a star. This AI will be a new tool for researchers studying stars through their sound waves. It is even possible that the AI might be able to analyze raw stellar sound wave data quicker than a human. But, this star-analyzing AI network is still very new, and hard results are still to come. The researchers’ paper on the technology is posted on the pre-print server arXiv at the moment, and has been accepted to the technical journal of the Astronomical Society of the Pacific, but it has not yet been peer-reviewed. NASA Parker Solar Probe Plus named to honor Pioneering Physicist Eugene Parker. The Parker Solar Probe shatters records as it prepares for its first solar encounter. The Parker Solar Probe is now the closest spacecraft to the sun—it passed the current record of 26.55 million miles from the sun’s surface at 1:04 p.m. on Monday, as calculated by the Parker Solar Probe team. As the mission progresses, the spacecraft will make a final close approach of 3.83 million miles from the sun’s surface, expected in 2024. Also on Monday, Parker Solar Probe surpassed a speed of 153,454 miles per hour at 10:54 p.m., making it the fastest human-made object relative to the sun. The spacecraft will also accelerate over the course of the mission, achieving a top speed of about 430,000 miles per hour in 2024. The Parker Solar Probe team periodically measures the spacecraft’s precise speed and position using NASA’s Deep Space Network, or DSN. The DSN sends a signal to the spacecraft, which then retransmits it back, allowing the team to determine the spacecraft’s speed and position based on the timing and characteristics of the signal. The Parker Solar Probe’s speed and position were calculated using DSN measurements made up to Oct. 24, and the team used that information along with known orbital forces to calculate the spacecraft’s speed and position from that point on. The Parker Solar Probe will begin its first solar encounter today, continuing to fly closer and closer to the sun’s surface until it reaches its first perihelion—the name for the point where it is closest to the sun—at approximately 10:28 p.m. on Nov. 5, at a distance of about 15 million miles from the sun. The spacecraft will face brutal heat and radiation while providing unprecedented, close-up observations of a star and helping us understand phenomena that have puzzled scientists for decades. These observations will add key knowledge to our understanding of the sun, where changing conditions can propagate out into the solar system, affecting Earth and other planets. Like our sun, distant stars are rotating spheres of hot gas. Stars, however, do not rotate like solid spheres: regions at different latitudes rotate at different rates. A group of researchers from New York University and the Max Planck Institute for Solar System Research (MPS) in Germany has now measured the rotational patterns of a sample of Sun-like stars. They have identified 13 stars that rotate in a similar fashion as our Sun: their equators rotate faster than their mid latitudes. This rotation pattern is, however, much more pronounced than in the Sun: the stars’ equators are found to rotate up to twice as quickly as their mid-latitudes. This difference in rotation speed is much larger than theories had suggested. What do we know about distant stars aside from their brightness and colors? Is our Sun a typical star? Or does it show certain properties that make it special, or maybe even unique? One property that is not fully understood is rotation. In its outer layers the Sun has a rotation pattern that scientists refer to as `latitudinal differential rotation’. This means that different latitudes rotate at different rates. While at the Sun’s equator one full rotation takes approximately 25 days, the higher latitudes rotate more slowly. Near the Sun’s poles, one full rotation takes approximately 31 days. In their new work the scientists studied the rotation of 40 stars that resemble the Sun with respect to mass. Among those, the 13 stars for which differential rotation could be measured with confidence all show solar-like differential rotation: equators rotate faster than higher latitudes. In some cases, however, the difference in rotational speed between the equator and the mid-latitudes is much larger than in the Sun. Classically, stellar rotation is determined by tracking starspots at different latitudes in photometric light curves. This method is limited, however, because we do not know the latitudes of the starspots. “Using observations from NASA’s Kepler mission we can now probe the interior of stars with asteroseismology and determine their rotational profiles at different latitudes and depths”, says Laurent Gizon, director at MPS. Stars are too far away to be resolved in astronomical images. They are point like. However scientists can indirectly obtain spatial information about stellar interiors using stellar oscillations. Stars undergo global acoustic oscillations that are excited by convective motions in their outer layers. Different modes of oscillations probe different regions in a star. Thus the frequencies of oscillation inform us about different regions. In this study the scientists used stellar oscillations to measure rotation at different latitudes in the outer convection zone. “Modes of oscillation that propagate in the direction of rotation move faster than the modes that propagate in the opposite direction, thus their frequencies are slightly different”, says Gizon. “Our best measurements all reveal stars with solar-like rotation”, says Gizon. The most surprising aspect of this research is that latitudinal differential rotation can be much stronger in some stars than in the Sun. The scientists did not expect such large values, which are not predicted by numerical models. This work is important as it shows that asteroseismology has fantastic potential to help us understand the inner workings of stars. “Information about stellar differential rotation is key to understanding the processes that drive magnetic activity”, says Gizon. Combining information about internal rotation and activity, together with modeling, will most likely reveal the root causes of magnetic activity in stars. However, many more Sun-like stars must be studied for this to happen. In 2026 the European Space Agency will launch the PLATO mission (an exoplanet mission, like Kepler) to characterize tens of thousands of bright Sun-like stars using precision asteroseismology. Large-number statistics will be key to studying the physics of stars and their evolution. The Max Planck Institute for Solar System Research has had an eventful history – with several moves, changes of name, and structural developments. The first prototype of the current institute was founded in 1934 in Mecklenburg; it moved to Katlenburg-Lindau in 1946. Not just the location of the buildings changed – the topic of research also moved, from Earth to outer space. 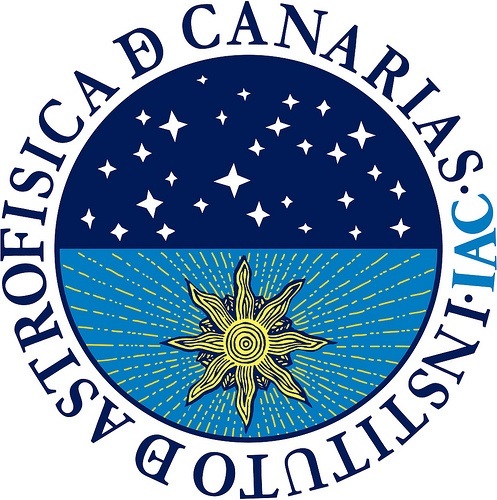 In the first decades the focus of research was the stratosphere and ionosphere of the Earth, but since 1997 the institute exclusively researches the physics of planets and the Sun. In January 2014 the Max Planck Institute for Solar System Research has relocated to it’s new home: a new building in Göttingen close to the Northern Campus of the University of Göttingen. The navigation for NASA’s Parker Solar Probe is led by the agency’s Jet Propulsion Laboratory in Pasadena, California, which also has a role in two of the spacecraft’s four onboard instrument suites. Parker Solar Probe will fly closer to the Sun than any previous spacecraft and through the solar corona itself. One instrument, called the Energetic Particle Instrument-Hi (EPI-Hi), will investigate the mysteries of high-speed solar particles that hurtle toward Earth at close to the speed of light. Observations by the Parker Solar Probe will lead to better predictions of space weather and address fundamental mysteries about the Sun’s dynamic corona. EPI-Hi is part of the Integrated Science Investigation of the Sun, led by Principal Investigator David McComas of Princeton University in New Jersey. This animation shows Parker Solar Probe flying through the solar corona and coronal mass ejections. The fields of view of the two WISPR telescopes are defined by the pyramid-shaped rays coming from WISPR instrument. When approaching the Sun, the spacecraft flies such that its heat shield is always facing the Sun to protect the instruments and spacecraft from the intense solar radiation. As it gets closer to the Sun, the solar panels are folded back behind the shield so that only the tips are exposed to sunlight. The animation also shows how WISPR uses the heat shield to block out the direct sunlight so it can view the corona, which is seen in reflected sunlight. Of particular interest to the EPI-Hi team is the unsolved riddle of how a small fraction of the charged particles from the Sun reach near-light speeds. These particles, protons, electrons and heavy ions can reach Earth in less than an hour, creating space weather hazards to humans and hardware in space. Until now, scientists had been observing from a distance the effects of what is happening near the Sun. With the Parker Solar Probe now on its way to fly through the region where it is happening, scientists are confident they will obtain new clues and insight into the process. The EPI-Hi instrument consists of stacks of silicon detectors designed to snag high-speed particles and measure their energies. Some of the detectors are very thin, with the thinnest being about one-eighth the thickness of a standard sheet of paper. For the detectors to make the required measurements, the thickness of these detectors could vary by no more than one-hundredth the thickness of a sheet of paper. Another instrument on Parker Solar Probe — the Wide-Field Imager for Solar Probe Plus (WISPR) – is the only camera aboard the spacecraft. The WISPR Instrument Module (WIM) and its subassemblies annotated schematic. Two telescopes cover the WISPR FOV: the Inner and Outer telescope. Three baffle systems (Forward, Interior, and Aperture Hood) provide stray light control. The CIE controls the two APS detectors. The Door Latch release is the only WISPR mechanism. The U.S. Naval Research Laboratory. It will take images of the Sun’s corona and inner heliosphere. The imager has two telescopes that will capture images of the solar wind, shock waves and other coronal structures as they approach and pass the spacecraft.WISPR provides a very wide field-of-view, extending from 13 degrees away from the center of the Sun to 108 degrees away. “If you saw the solar eclipse last August, you saw the Sun’s corona. That is our destination. WISPR will be taking images of the corona as it flies through it. The images will help us understand the morphology, velocity, acceleration and density of evolving solar wind structures when they are close to the Sun,” said JPL scientist Paulett Liewer, a member of the WISPR Science Team. The WISPR principal investigator is Russell Howard of the Naval Research Laboratory. In leading Parker’s navigation efforts, JPL is helping to implement the mission’s innovative trajectory, developed by the Johns Hopkins Applied Physics Laboratory, Laurel, Maryland, which built and operates the spacecraft for NASA. The Parker Solar Probe will use seven Venus flybys over nearly seven years to gradually shrink its orbit around the Sun, coming as close as 3.83 million miles (6.16 million kilometers) to the Sun, well within the orbit of Mercury and about seven times closer to the Sun than any spacecraft before. In addition, the Parker Solar Probe Observatory Scientist, Principal Investigator Marco Velli, a UCLA professor, holds a part-time appointment as Heliophysics Liaison to NASA at JPL. The Parker Solar Probe lifted off on Aug. 12, 2018, on a United Launch Alliance Delta IV Heavy rocket from Space Launch Complex-37 at Cape Canaveral Air Force Station in Florida. The mission’s findings will help researchers improve their forecasts of space weather events, which have the potential to damage satellites and harm astronauts on orbit, disrupt radio communications and, at their most severe, overwhelm power grids. EPI-Hi is managed for NASA by Caltech in collaboration with JPL, which is a division of Caltech. The Parker Solar Probe is part of NASA’s Living with a Star Program, or LWS, to explore aspects of the Sun-Earth system that directly affect life and society. LWS is managed by NASA’s Goddard Space Flight Center in Greenbelt, Maryland, for the Heliophysics Division of NASA’s Science Mission Directorate in Washington. Johns Hopkins Applied Physics Laboratory manages the Parker Solar Probe mission for NASA.